YouinMind.org is an online platform helping you find mental health and wellbeing services in Cheshire. Simple in design and easy to use, YouinMind.org is designed to connect those with mental health needs with local providers and online resources that they would otherwise be unable to find. Whether you’re looking for professional support like counselling or wish to join a community group to improve your wellbeing, there’s something for everything on our website. Search by condition and postcode to discover suitable services near you. At YouinMind.org, our goal is to make mental health services in Cheshire more accessible. We know that finding the right support can be a challenge; that’s why our platform is dedicated to signposting you to relevant services. Our team works closely with local providers to keep our platform up-to-date and to make sure their services reach those that need it. If you run a mental health service, please get in touch so we can include you on our database. Since launching in May 2017, we have partnered with over 150 providers and list more than 700 mental health services (accurate as of May 2018). 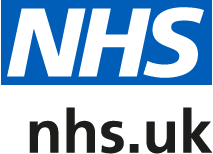 We are currently commissioned NHS South Cheshire CCG and NHS Vale Royal CCG and we work in close partnership with NHS West Cheshire and NHS East Cheshire CCG. Visit YouinMind.org, and find the mental health support you need.